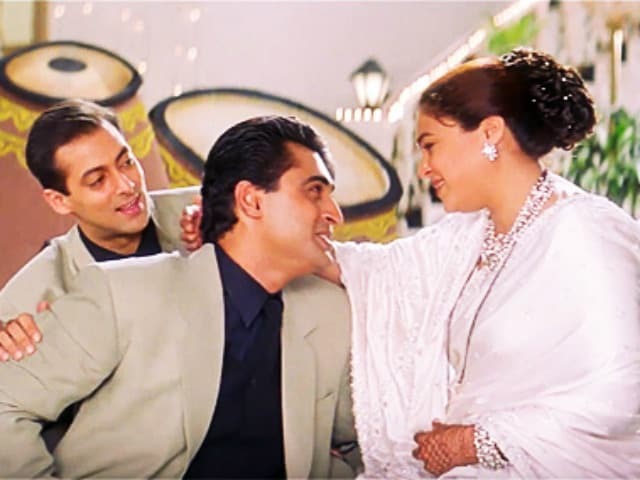 Actor Mohnish Bahl, who closely worked with Reema Lagoo in Sooraj Barjatya-directed emotional family dramasHum Aapke Hain Koun... and Hum Saath - Saath Hain, remembered the late actress in a heartfelt tribute, published in mid-day. Mr Bahl featured as Ms Lagoo's son in the films Hum Aapke Hain Koun... and Hum Saath - Saath Hain, both starring Salman Khan. However, Mr Bahl's first interaction with the veteran actress was while filming Maine Pyaar Kiya in 1987, he recounted in his tribute. "Not many know that she was only a few years older than most of the actors she played mother to. As far as I'm concerned, my camaraderie with Reema ji was crackling," the 56-year-old actor wrote in his tribute to Reema Lagoo on mid-day. In his tribute, Mr Bahl said that Ms Lagoo etched a place in his heart with her warmth and welcoming attitude. "What really struck me about her was her kindness, sensitivity and non-judgmental attitude. When you walked into a set and saw her, she radiated such great warmth," reads his tribute to the late actress. Mohnish Bahl also said that there cannot be a suitable replacement of the late actress for playing Bollywood's favourite mother, especially in films helmed by Sooraj Barjatya. Mohnish Bahl's proximity to Ms Lagoo was also on a personal level, as revealed in his tribute. "Reema ji used to live in a building bang opposite mine. On several occasions, I would wake up to find my wife, Aarti, waving out to Reema ji from our balcony. They conversed through gestures," reads his tribute. However, Mr Bahl also regretted not having done more films with Ms Lagoo and said that he is a fan of Ms Lagoo's performance in Vaastav, in which she shoots her gangster son played by Sanjay Dutt. On Thursday, Mr Dutt said that he "lost a mother again" after the news of Ms Lagoo's death reached him. Meanwhile, Mohnish Bahl also mourned Mr Lagoo in a Facebook post and described her sudden death as a "huge and unexpected loss." On Twitter, Bollywood stars like Amitabh Bachchan, Rishi Kapoor, Madhuri Dixit, Akshay Kumar and others condoled the late actress. Her funeral, held on Thursday evening, was also attended by Aamir Khan, Kajol and other celebs like Sonali Kurkani, Kiran Kumar and Raza Murad. Reema Lagoo died of cardiac arrest on Thursday. She was 59. Naamkarann, directed by Mahesh Bhatt, was Ms Lagoo's last film. She is best-known for her roles as mother to stars Salman Khan, Akshay Kumar and Kajol in films like Hum Aapke Hain Kaun, Jai Kishen and Kuch Kuch Hota Hai respectively. She also played the role of Shah Rukh Khan's mother in Kal Ho Na Ho. She is survived by her daughter Mrunmayee, also an actress. Salman Khan And... Can You Guess The Actress In This Throwback Pic?